California Pet Store Insurance. Pet stores sell pets and related supplies including pet food, collars, leashes, habitats, clothing and pet toys. Some offer animals such as cats or dogs, while other offer more exotic animals, such as rare birds, rodents, fish, spiders and snakes. Related services that may be offered include kenneling, grooming, and veterinary care. Some pet stores offer adoption programs in conjunction with local animal shelters or sponsor exhibitions or competitions. And while pets give a certain magic to the pet store environment, they also add a lot of complexity and a significant amount of risk. The injury or death of one of the pets can be tragic and costly, putting your pet store business at great risk for survival. 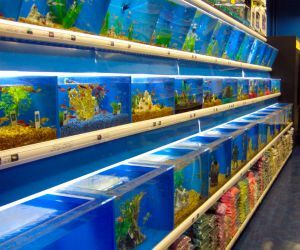 This makes California pet store insurance a huge necessity for your business. California pet store insurance protects your shop from lawsuits with rates as low as $37/mo. Get a fast quote and your certificate of insurance now. California pet store insurance offers protection from a wide range of risks and exposures that could potentially impact your business and ability to operate. It's essential to ensure you have the right protection in place to safeguard the pets, buildings, contents, stock as well as your liability towards staff, customers and suppliers. Without the right coverage in place, you may be personally liable for accidents that occur, which could also jeopardize the future of your business. General Liability: CA pet store owners purchase this insurance to provide coverage for legal hassles due to claims by customers. This policy protect against payments as the result of bodily injury as well as property damage. If someone tripped over spilt animal feed in your shop and claimed compensation for their injury, California pet store insurance pays for medical expenses, lawsuit defense costs, and settlement bonds or judgements during an appeal procedure. Business Property: Research places the average cost of fire for small businesses at $35,000. If you do not have this kind of cash lying around, property insurance is a no-brainer. If certain disasters and weather events strike, California pet store insurance will cover the cost of making repairs and replacement to your property. Burglary is yet another common pet store claim, so chances are you need the coverage commercial property offers. Bailee Insurance: If your pet store offers veterinary, grooming or kenneling services, you need Bailee insurance. This California pet store insurance provides coverage for pets belonging to other people but left in your care, custody or control. 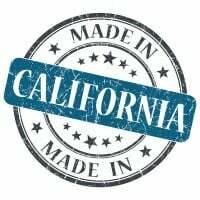 CA Commercial Auto: Driving for business is riskier than personal auto use - especially if it requires picking up or delivering pets or expensive products. Worker's Compensation: Worker's compensation is required in most states for any non-owner employees and is an important California pet store insurance policy for pet shops to have. Your employees are at risk of falling inside the shop or getting injured by your pets. If they get a work-related injury, the diagnosis and treatment will be covered by worker's compensation insurance. The policy also covers recovery, physical therapy, and any lost income while they are out of work. Request a free California Pet Store insurance quote in Alameda, Alhambra, Anaheim, Antioch, Apple Valley, Bakersfield, Baldwin Park, Bellflower, Berkeley, Buena Park, Burbank, Camarillo, Carlsbad, Carson, Chico, Chino Hills, Chino, Chula Vista, Citrus Heights, Clovis, Compton, Concord, Corona, Costa Mesa, Daly City, Davis, Downey, El Cajon, El Monte, Elk Grove, Escondido, Fairfield, Folsom, Fontana, Fremont, Fresno, Fullerton, Garden Grove, Glendale, Hawthorne, Hayward, Hemet, Hesperia, Huntington Beach, Indio, Inglewood, Irvine, Lake Forest, Lakewood, Lancaster, Livermore, Long Beach, Los Angeles, Lynwood, Manteca, Menifee, Merced, Milpitas, Mission Viejo, Modesto, Moreno Valley, Mountain View, Murrieta, Napa, Newport Beach, Norwalk, Oakland, Oceanside, Ontario, Orange, Oxnard, Palmdale, Palo Alto, Pasadena, Perris, Pleasanton, Pomona, Rancho Cordova, Rancho Cucamonga, Redding, Redlands, Redondo Beach, Redwood City, Rialto, Richmond, Riverside, Roseville, Sacramento, Salinas, San Bernardino, San Buenaventura, San Diego, San Francisco, San Jose, San Leandro, San Marcos, San Mateo, San Ramon, Santa Ana, Santa Barbara, Santa Clara, Santa Clarita, Santa Maria, Santa Monica, Santa Rosa, Simi Valley, South Gate, Stockton, Sunnyvale, Temecula, Thousand Oaks, Torrance, Tracy, Turlock, Tustin, Union City, Upland, Vacaville, Vallejo, Victorville, Visalia, Vista, Walnut Creek, West Covina, Westminster, Whittier, Yorba Linda, Yuba City and all other cities in CA - The Golden State.